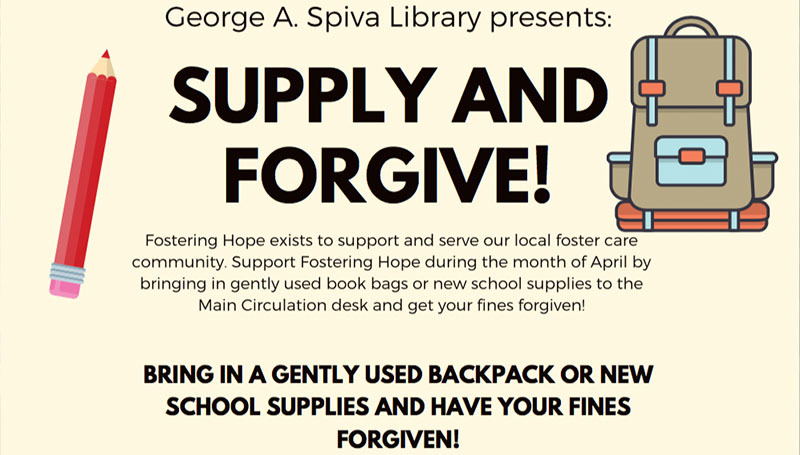 The George A. Spiva Library is participating in a Fostering Hope fundraiser throughout the month of April. Participants can bring gently used book bags or new school supplies to the main circulation desk and have fines forgiven. MOBIUS and billed book fines are not included. For more information, see the flyer below.